Hanoi (VNA) – Prime Minister Nguyen XuanPhuc has approved a project on improving the competitiveness of Vietnam’s exports to 2020 with orientation to 2030, with the aim of increasingthe added value of key products by 20 percent. The project is expected to increase the quality and added value of advantageous products with the added value of agro-fishery products to be expanded by 20 percent by 2020. The proportion of the products will be raised in developed economies such as the EU, Japan and the Republic of Korea, while average export growth of goods will surge by 8 percent in the 2016-2020 period. 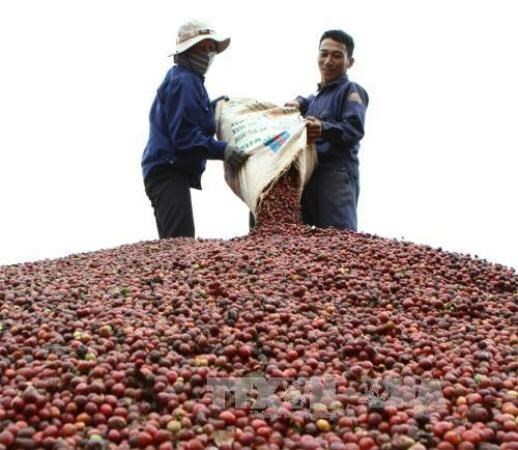 Prioritised products include rice, coffee, rubber, seafood and peppercorn, along with the group of the manufacturing industry such as apparel, footwear, furniture, telephones and components, computers, electronic products and spare parts. Other advantageous commodities are raw materials of garment and textiles, footwear, plastic and plastic products, fertilizers, and chemicals. The project aims to re-organise production by transforming methods of production towards higher added values, and changing export models from intermediate export to direct ones and from FOB to CIF. Besides, the project will develop the support industry for sectors having advantage in export, enhance the role of foreign invested businesses in improving competitiveness of Vietnam’s exports, expand export markets and buildnational brand names. It will also target improving national competitiveness, cutting business costs while increasingbusiness competence, especially small- and medium-sized enterprises, and supporting firms in updating technology. Support and encouragements will also be given to businesses in building export strategies, joining foreign production and distribution networks and global value changes, and fostering connectivity among raw material suppliers, producers, transporters and manufacturers.